The author Meera Rajbhandari Amatya wrote this research based work as her M.Phil dissertation entitled “Status of press freedom in Nepal after comprehensive peace accord and an analysis on the situation of indigenous journalists.” Her research work was published by national foundation for development of indigenous nationalities and is dedicated to the journalists who lost their lives working for the justice and the voiceless people and the author’s family members. The book was published by Classic Printing Press, Anamnagar and edited by Tahal Thami and cover picture by the famous artist Basu Kshitiz. 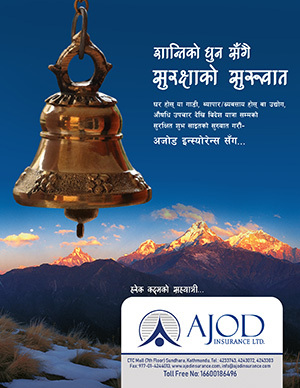 The book has 80 pages with a few words from Chandra Bahadur Gurung Vice- Chairman of NFDIN and preface by Pushkar Mathema, former Editor in Chief of Gorkhapatra national daily. 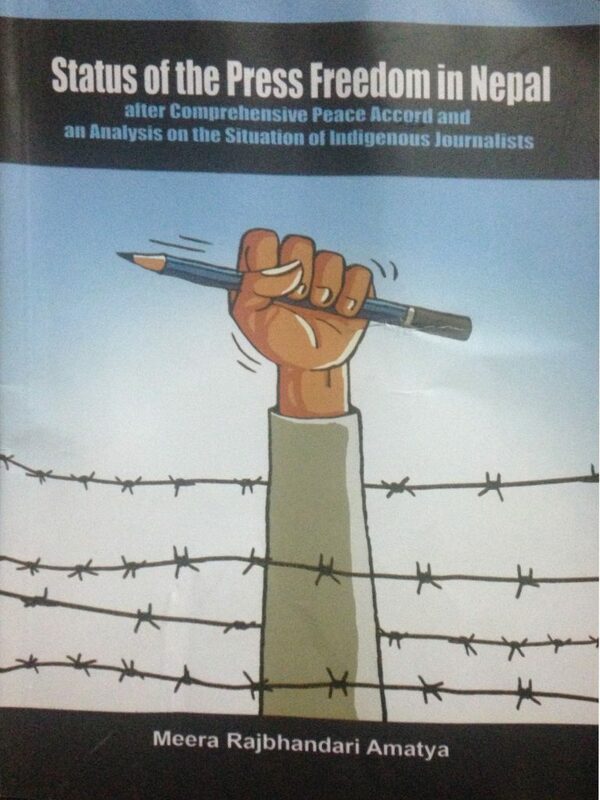 As per the preface, this book is a product of in-depth and systemic research which has highlighted and analysed the status of press freedom after comprehensive peace accord 2006 in Nepal. He further adds that a major feature of the book has been the eye opening analysis of the status of indigenous journalism in Nepal. It is an irony that the exquisite ornaments are neglected, undernourished and in marginalized state. I also feel that the author has still neglected the indigenous journalist as when you look at the list of interviewed 30 journalists, vary few of them are from the indigenous group. Even among the other interviewees the same story holds true and although the author is a female, most of her interviewees are males. Annex II shows a list of journalists killed during the conflict period and the list shows not only journalists from print media but also from radio and visual media where as the author has subjected her thesis to interviews from print media persons. I believe the author could have made more effort in the choice of her interviewees and we would definitely have had a better thesis for her project. However the author has done an in-depth research on the subject and made some vary succinct tables which give the whole picture of the indigenous journalist at a glance. The editor also has played a very positive role in making the book very readable with clear chapters, good English understandable event to college students. The book even has a list of officially recognized indigenous communities in Nepal which could be useful to all.